Cell Processor on Wii 2? Development around the original Cell processor hasn't stalled and IBM will continue to develop chips and supply hardware for future gaming consoles, a company executive said. IBM is working with gaming machine vendors including Nintendo and Sony, said Jai Menon, CTO of IBM's Systems and Technology Group, during an interview Thursday. "We want to stay in the business, we intend to stay in the business," he said. The Cell processor, which was developed by IBM in conjunction with Sony and Toshiba, made its first appearance in Sony's PlayStation 3 gaming console in 2005. The hybrid chip includes processor cores based on IBM's Power architecture. However, there have been questions surrounding Cell's future and its implementation in gaming consoles. Consoles such as Microsoft's Xbox 360 and Nintendo's Wii also use IBM processors, though not the Cell chip. IBM confirmed in a statement Friday that it continues to manufacture the Cell processor for use by Sony in its PlayStation 3. IBM also will continue to invest in Cell as part of its hybrid and multicore chip strategy, Menon said. "I think you'll see [Cell] integrated into our future Power road map. That's the way to think about it as opposed to a separate line -- it'll just get integrated into the next line of things that we do," Menon said. "But certainly, we're working with all of the game folks to provide our capabilities into those next-generation machines." Menon did not elaborate on specific chip and hardware developments for gaming systems, but said its Power processors have capabilities that are similar to those of the Cell chips. "The kinds of things you used to be able to do with the Cell you can do in ... [the] Power line," Menon said. There are also giant servers that will provide gaming capabilities through the cloud for which the company will also provide hardware, Menon said. "Some of this consumer stuff is also a cloud play. There are giant servers out there that provide some of the gaming capability. Some of that will come through cloud-based offerings as well," Menon said. The company earlier this year released the Power7 processor, and is working on the next-generation Power8 processor. IBM is putting a lot of resources into developing Power8, and the company is in line to release the new chip in the same time frame as earlier processors, Menon said. 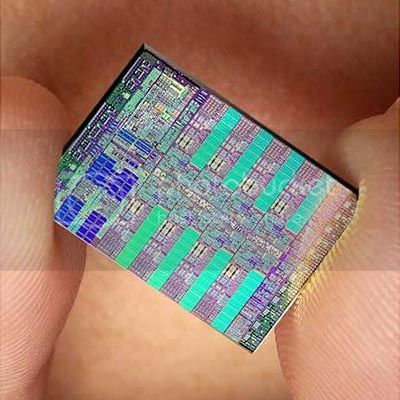 The company has a history of releasing chips every three years, which points to a Power8 chip release for 2013. The PlayStation 3 combines Power processor cores with specialized hardware to deliver advanced gaming capabilities. IBM is trying to increase its focus on developing multiple processing components in systems to intense graphics requirements and specific application needs. "There are many things we are doing that will impact the consumer," Menon said.